Esteemed reader of this blog, there are several new additions to this site which I should mention. I've added two new services to this blog which are very usefull to myself and which probably could be usefull to you too. Since I very often need a PasteBin to pass informations to someone on the Internets, on IRC or on some other chat services I've implemented a local PasteBin on this blog. This Pastebin is a ZeroBin or PrivateBin instance which has many cool features. ZeroBin or PrivateBin is a minimalist, open source online pastebin where the server has zero knowledge of pasted data. The Data is encrypted and decrypted in the browser using 256 bits AES. You can find more information on the project's homepage at https://privatebin.info. Feel free to check out their site, it's a cool project and I really like the cryptographic features of ZeroBin. 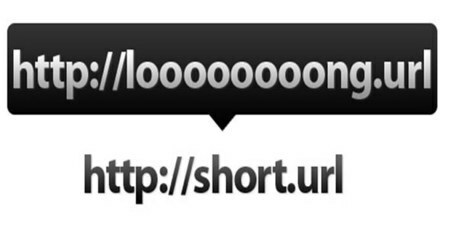 The second service I've implemented is an local URL shortener. Sometimes I need to shorten URLs to be able to pass those URLs easy and convenient to friends or family on the Internets or for use in other services. As you probably know by now I never really trusted foreign services on other people's servers. A local URL shortener makes sure, I can trust the redirection service to not track my visitors without need. Feel free to use the service for yourself! Please be aware that you have to trust this site's webmaster when using this service. The webmaster of this site is able to associate your IP address to your URL. Except for the webmaster, nobody else is able see the URLs you shorten with this service.